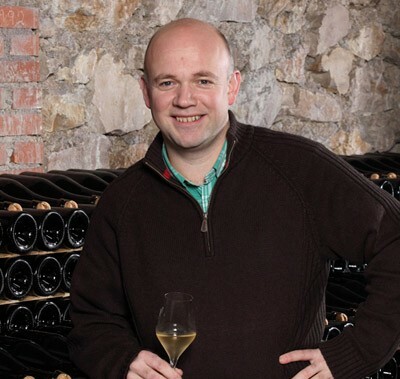 A family-run estate, Champagne Robert Moncuit has a five generation history. Alex Moncuit started the vineyard in 1889, and in 1928 his grandson Robert created his first cuvée and Champagne Robert Moncuit was born. Robert continued to produce this exceptional Champagne until his death in 1987. His daughter Francoise took over the estate, and her son Pierre has been winemaker since 2000. Until 2000 all the wine was sold in France. The estate has 8 hectares under vine in Le Mesnil-sur-Oger. Vines are tended without the use of pesticides and herbicides. Fruit is hand-harvested and sorted, with each parcel vinified separately to optimize the outcome of blending. All the wines are fermented and raised in tank, the goal being contact with the lees. Pierre thinks oak would mask the chalky sense of Mesnil. The malos happen naturally, they don’t filter or chapitalize. They will be releasing their first bottling of ‘Chetillons’ with the 2008 vintage. The Chetillons parcel is 2 ha and was planted in 1956.